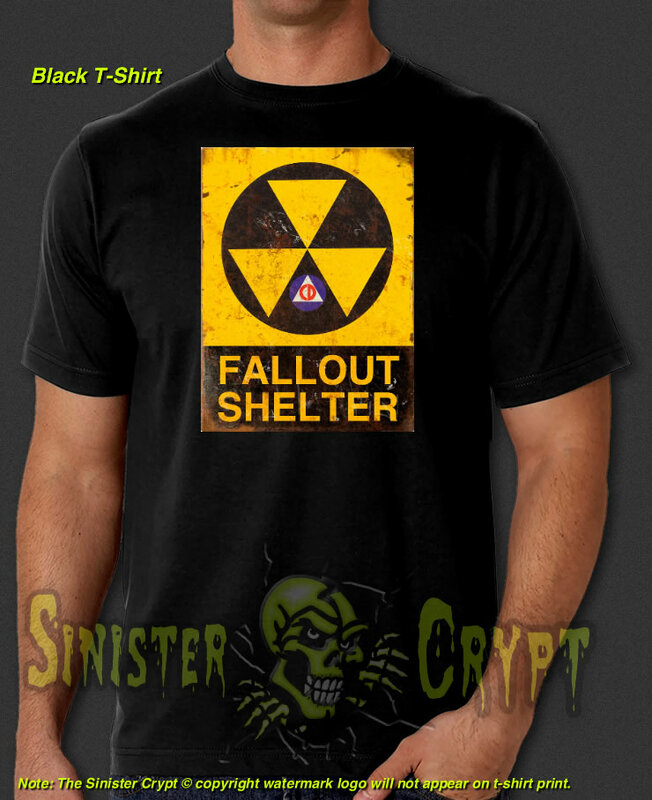 Fallout Shelter t-shirt. 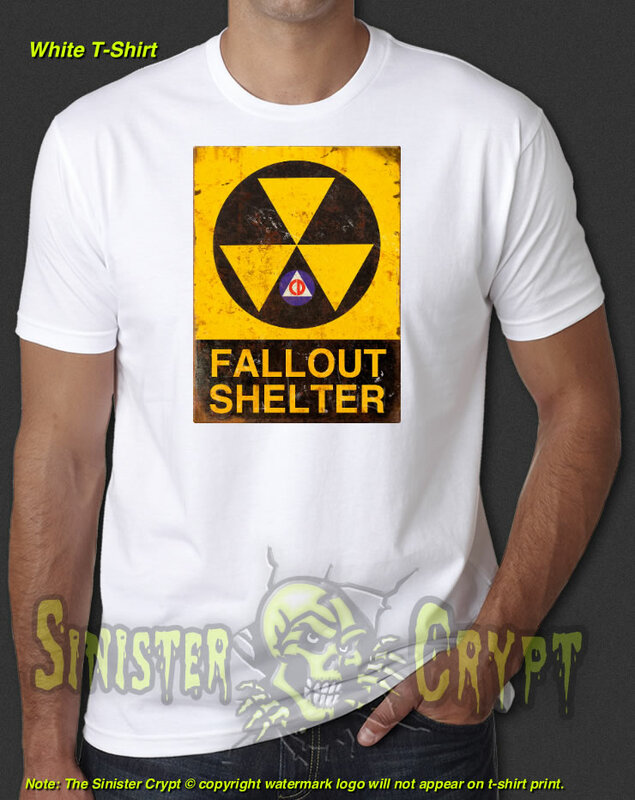 This design features a distressed fallout shelter sign which was on a building and indicated an enclosed space specially designed to protect occupants from radioactive debris or fallout resulting from a nuclear explosion. Many such shelters were constructed as civil defense measures during the Cold War. Makes a great gift! !